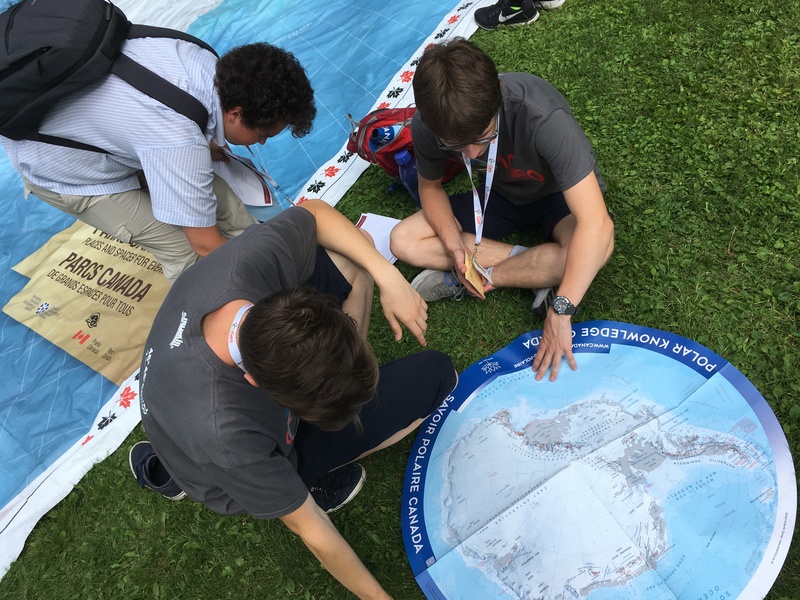 Four Canadian high school students proved they're among the best and brightest young geographers in the world this past weekend, claiming five medals at the 15th International Geography Olympiad in Quebec City. More than 160 students from 43 countries competed in this year’s Olympiad, held at the Université Laval. The event marked both the first time Canada has hosted the competition, and the first time Canadian students competed. Canada was also one of just a few teams to have each of its members take home a medal. Calgary’s Jack Cheng claimed a silver medal, while Malhaar Moharir of Toronto and Ben Woodward and Zhongtian Wang, both of London, Ont., were awarded bronze. 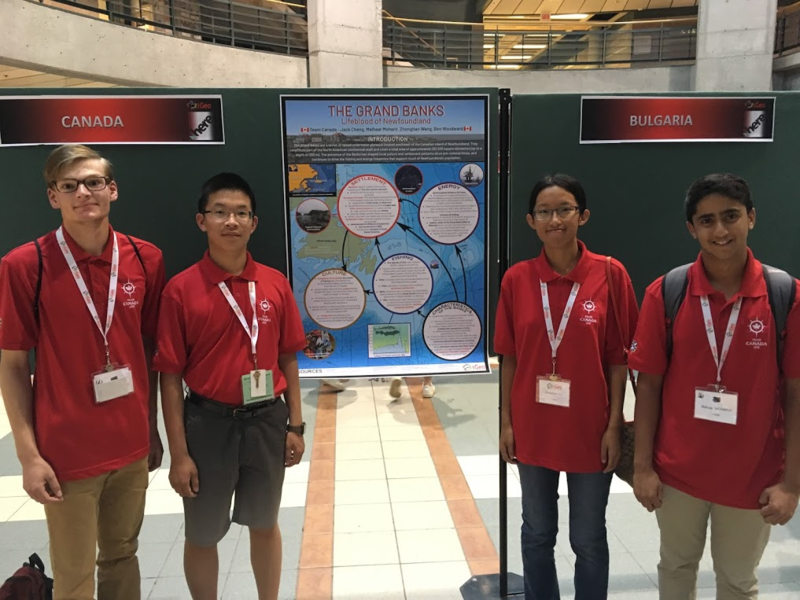 The team also won silver in the poster competition for their project on the geographical significance of the Grand Banks of Newfoundland. Students were marked individually on a variety of tests and ranked accordingly; about half of all competitors qualified for a medal. Canada finished 13th overall, with Romania, Singapore and the United States claiming the top three spots. Over the course of the weeklong competition, the students faced three challenges designed to test their understanding of both physical and human geography: a written test, a field test and a multimedia test. For the fieldwork round, which took place over two days of the competition, they first travelled to Baie Saint-Paul, a village in the Charlevoix region, to collect data on the cultural heritage of the site. Then, they had to develop a sustainable tourism plan for the village, demonstrating their spatial and cartographic skills. Teams also competed in a poster competition which required them to create a piece looking at how water in one of its forms has influenced human activities in a community or region in their country. Canada’s poster focused on the Grand Banks in Newfoundland. Team Canada won the silver medal for their entry after being narrowly edged out by Russia. The young geographers spent Saturday morning completing a multimedia test where they had to identify the sound of an erupting volcano, among other interactive tasks. They also enjoyed discovering Canadian culture during an afternoon of educational activities organized by Canadian Geographic Education with the help of Parks Canada. That evening, students presented in groups a skit to demonstrate what they’d learned about Canada during their trip and the afternoon activities. Teams gave presentations on everything from the lost Franklin expedition to popular Canadian tunes (complete with an impromptu performance of Shania Twain’s “Any Man of Mine”). “iGeo was an incredible experience as it allowed me to meet like-minded students from around the world, allowing me to learn more about geography by learning about their countries and experiencing their cultures,” said Woodward. Building on the success of this Olympiad and its own long-running Canadian Geographic Challenge, Canadian Geographic Education hopes to prepare a team for next year’s competition, to be held in Hong Kong.